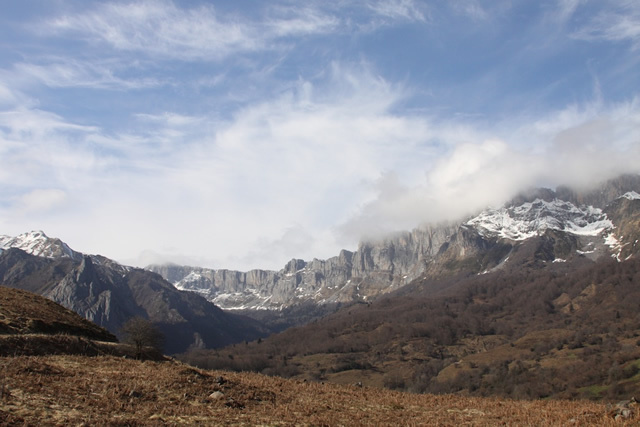 In 2008 when Justin Bell & Gillian Lyons moved with their three children from Tanzania, East Africa to a tiny village nestled in the Spanish Pyrenees, they were astounded by the beauty and relatively low development of this rugged mountain chain. 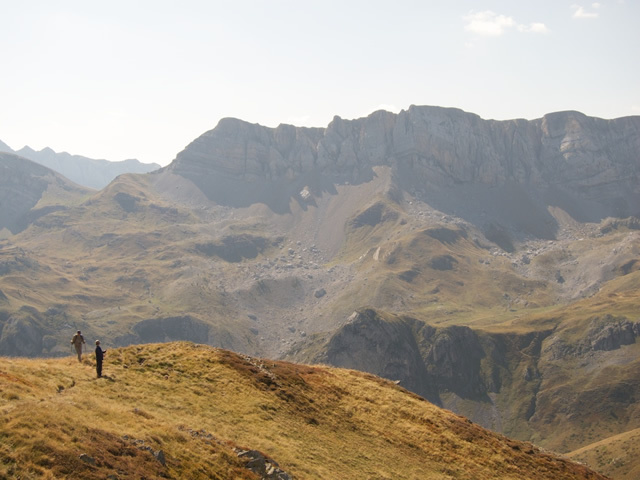 In the midst of Western Europe, the Pyrenees Range is rich in stunning views and hidden surprises. 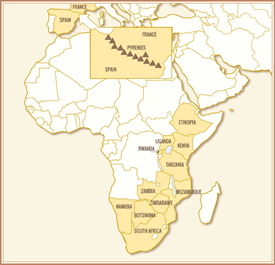 Here it is rare to encounter travelers from anywhere aside from the two countries it divides – France and Spain. This massive barrier stretches from the Atlantic Ocean to the Mediterranean Sea, separating the Iberian Peninsula from the rest of Europe. To the north, the French side is lush and green, knifed by steep stream-carved valleys. The Spanish side is green in the far west, but is mostly arid and offers wide vast open vistas, more typical of Africa than Europe. As a result of the divide, the histories of the two sides of the mountains have been for the most part distinctly different. For a period of 700 years the south of the range was influenced to a greater or lesser degree by the Islamic culture from North Africa. During the renaissance France, to the north, was an engine of European culture and modernity. However, the sheer size of the range has meant there has not been a clean separation between one side and the other. Rather, these rugged mountains are themselves a cradle of variation. Valleys hide endemic plants, and ridges separate them from their neighbors. The same is evident in the peoples who live here. The most obvious of these differences is language, where on the southern side of the range three main languages are commonly spoken (Basque, Castilian and Catalan), and several other dialects (such as Cheso, a dialect of Aragonese), as well as a fourth language Galician, is spoken further west. 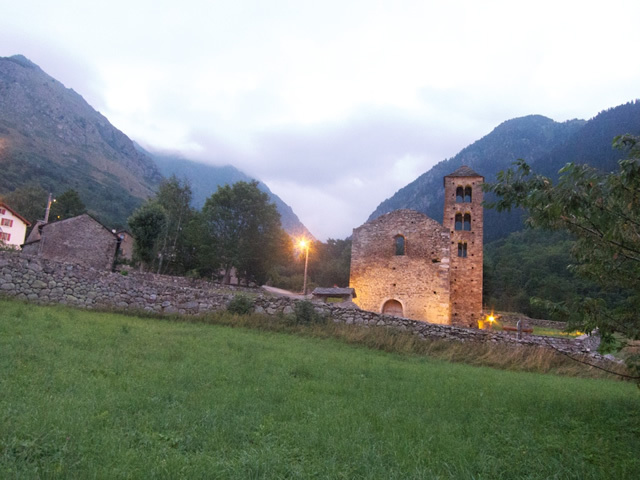 In northern Spain and south-western France we can delve into the past, and learn about the rich history of the area, from before the Romans to the Moors, and on to modern times. We can travel in the most modern train the “Ave”, and by the oldest means – on foot. Our custom guided repertoire of journeys to this region is varied. We can incorporate hiking, road or mountain biking, gastronomy, kayaking, journeys by train, visits to wineries, farms and to festivals into your trip. 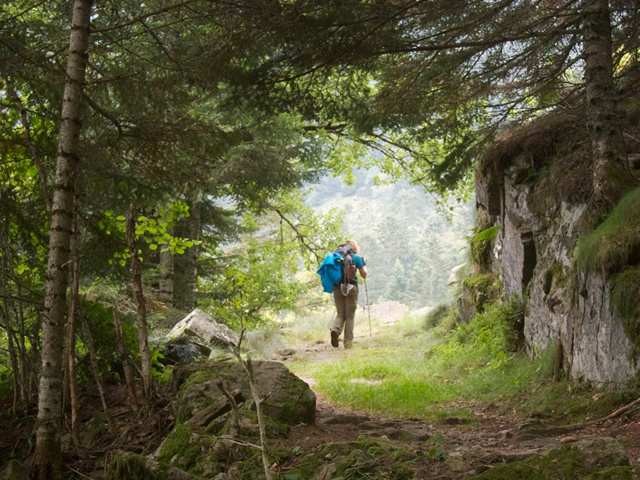 To give you a better idea of possibilities, we have described three different regions or journeys for you – the Central Pyrenees, the Western Pyrenees including the Basque and Rioja wine regions, and the St James’ Way (Camino de Santiago) to Galicia. With knowledge of your interests, your preferred dates of travel, and group characteristics (if there are children, elderly, etc), we can design you a journey replete with fun and exciting, interesting events.